This is one of our best selling metal pens, that we are now selling with blue ink! This pen features gold accents and is laser engraved. 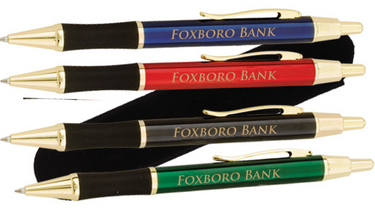 Your customers will represent your company’s brand in style with these pens! The MPEN is a European Style Rubber Grip Metal Pen. Available in assorted black, blue, green, and red. 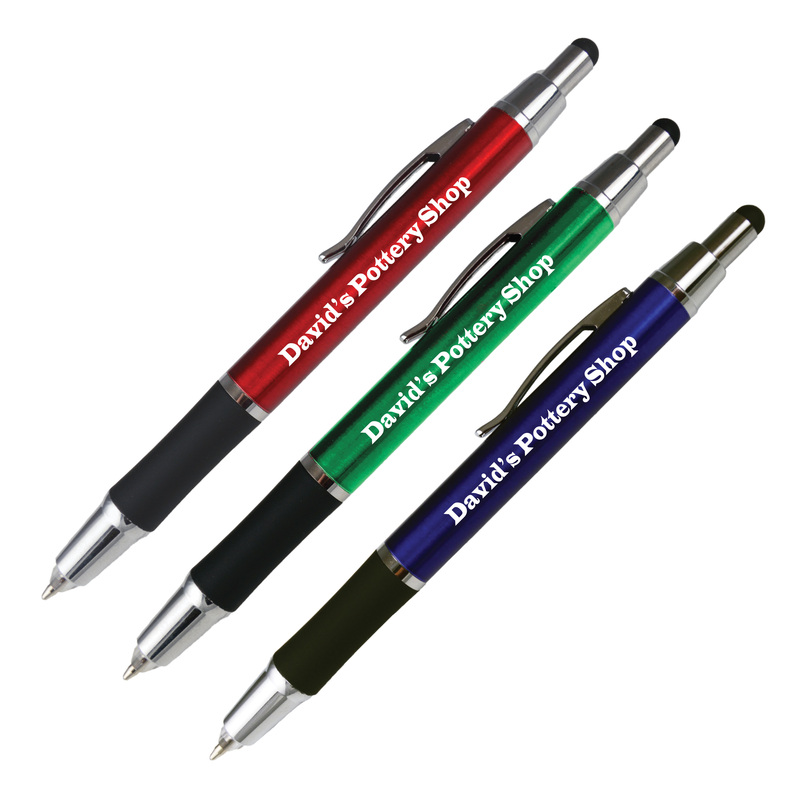 These pens are laser engraved, creating a beautiful promotional product for your business! With a soft rubber grip, this pen will be an ease to write with! 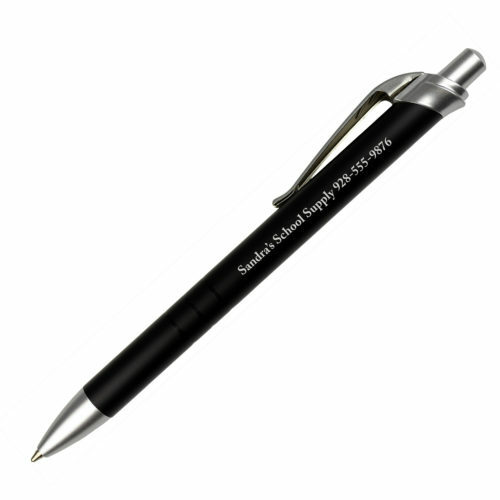 We use German ink barrels in all of our promotional pen lines, always creating a mighty fine promotional pen! Promote with pride, using the MPEN! The USMP is a Patriotic Metal Pen. Blue barrel with patriotic clip and trim. We laser engrave this product for an imprint that may as well be set in stone. 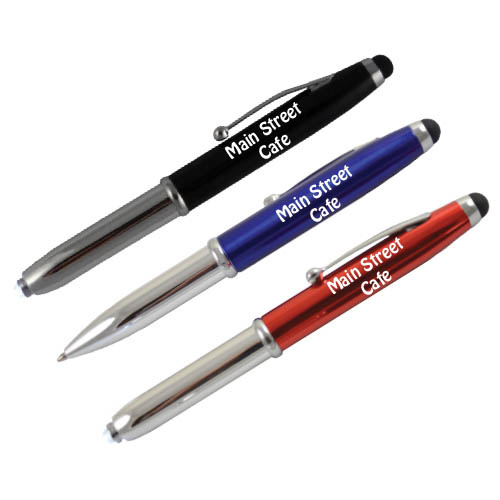 With a plush rubber grip and metal clip, your customers can take your name anywhere they can clip the pen and write with extreme comfort! Promote with pride, using the USMP!